No idea the provenance of this currently-popular poster, and it comes with no explanation or documentation, but two observations if there is any truth in it. 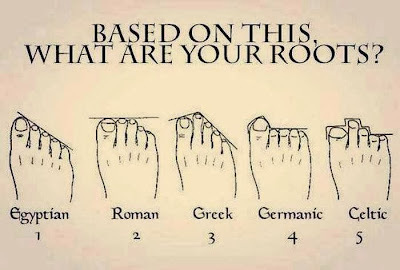 1) It amuses me that German toes are all uniform and orderly, while Irish toes are crazy. 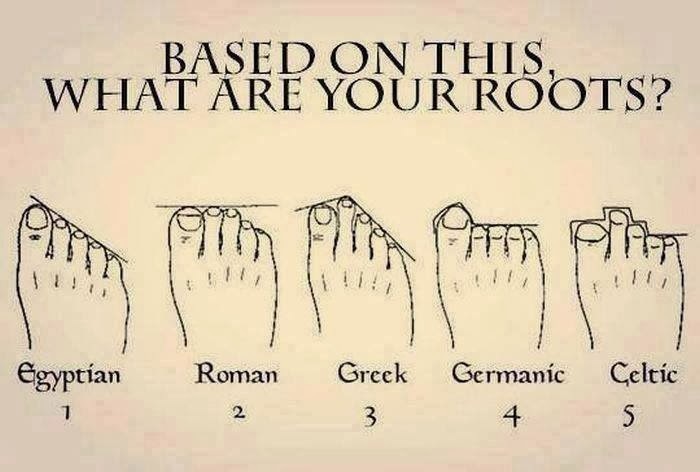 Perhaps your temperament is all your toes? 2) Some of you have really weird feet.